[Spoilers] The Walking Dead: Is ____ Really Dead? Better Be…. So obvious major spoilers ahead if you haven’t seen last night’s episode of the Walking Dead. If you haven’t tuned in, you should stop now. Last night we all thought we saw Glenn die an untimely death as he gets torn apart by a herd of walkers. There are some peculiar things going on here which makes me think that he might not really be dead. 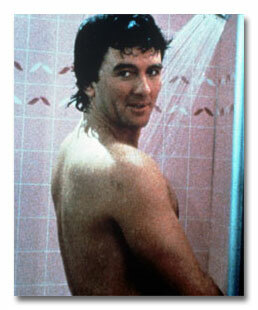 If he is still, in fact, alive, I’m not sure how the writers can pull this off without looking incredibly corny. Talking Dead watchers will have seen that showrunner Scott Gimple released a statement that basically said, “We will see some more of Glenn in some shape or form.” Ok, so a logical viewer thinks this will be in a flashback, a dream, a hallucination, or as a walker. It’s also very custom for the newly dead character to be on Talking Dead one last time. No Steven Yeun last night. Lastly, while doing the cheesy “In Memoriam”, they left Glenn out of it. 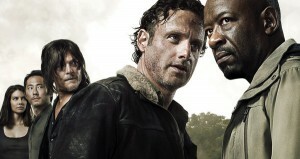 -We watched a clever camera angle and we watched Glenn’s reaction to Nick getting eaten. Not sure how that’s possible given the angle of this shot but hey, we’re grasping at straws here. If Nick got pulled over him and is being eaten, there’s no way Glenn doesn’t get scratched or bitten in my humble opinion. This seems to lend some credibility to the second theory. 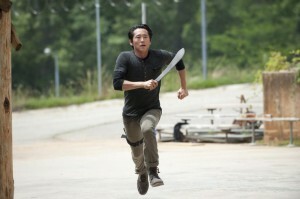 There are some spoiler shots from future episodes where Glenn appears to have been spotted. Again, these could be flashbacks or other ways of completing his story, but it seems like a Jon Snow thing is going on here. Good news is we will know Glenn’s fate before we know Snow’s. I generally think the show is pretty well-written now that Gimple has cemented himself as the show runner, but plot twists like these are incredibly hard to pull off. I did not want Glenn to die, but now that they did this I want him dead. The show is starting to feel like it has too many “unkillables” right now, so it’s time to shake things up. One bonus of him being alive still is that Glenn gets to meet Lucille (as comic readers have been anticipating), but I think someone else could meet Lucille and it have a similar impact as Glenn’s comic meeting.